In 1932, a young man borrowed $300 from his parents to open a small shop selling used and bargain general interest books at 19 Boylston Street in Cambridge, Massachusetts. In 2009, that same bookstore (now under different ownership) launched its so-called "Green Delivery Service" which, in partnership with Metro Pedal Power, delivers books by bicycle to the greater Boston area, often with same-day service (take that, Amazon!). For those two reasons, among many others, Harvard Book Store is the featured bookseller all this month here at The Quivering Pen. The bookstore has come a long way since Mark Kramer's plucky $300 back in the Prohibition era--it's moved, expanded, downsized, renovated, and added e-book service (courtesy of Kobo). It was one of the first bookstores in the country to add a cafe so customers could nosh-n-read. 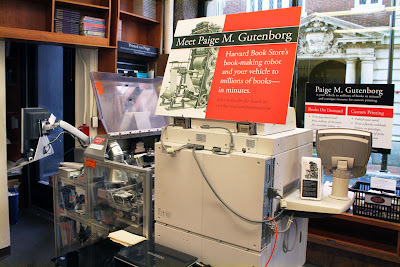 Four years ago, the store added a print-on-demand machine (lovingly called Paige M. Gutenborg). The store's motto says it all: "Our ultimate goal is to be able to provide any book ever written, faster than any competitor, through our knowledgeable staff of booksellers and buyers, our landmark brick-and-mortar location in Harvard Square, our website, a local bicycle-delivery service, our partnership with Kobo e-books, and our print-on-demand book-making machine." Harvard Book Store has a loyal fan base, too. 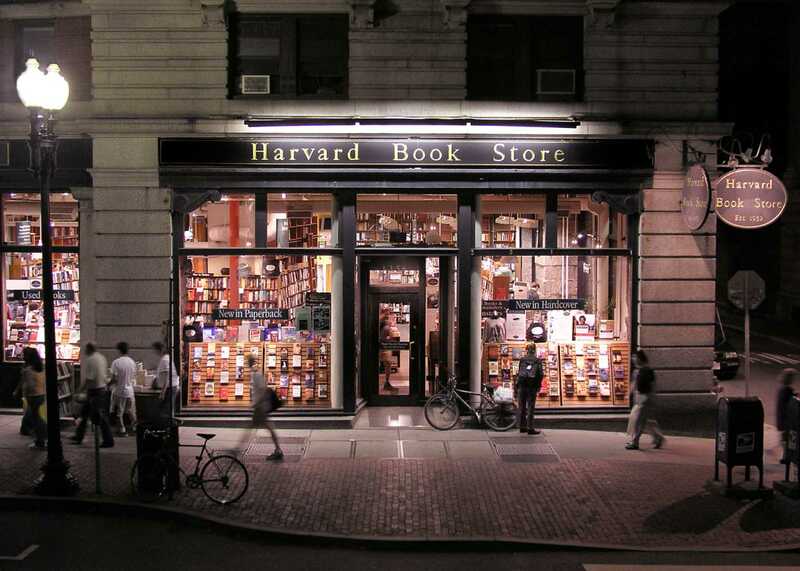 Just take a look at its Yelp reviews, where one customer enthusiastically states: "It is fundamentally a pleasant experience to be inside Harvard Book Store....Even when I don't buy anything, I'm still ALWAYS happy I went inside." 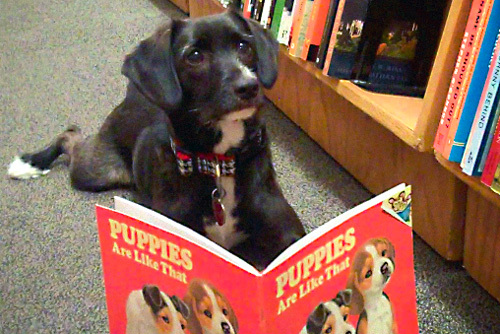 ....Then again, some Harvard Book Store customers might be looking for other kinds of fur-bearing needs. When I asked about their oddest request, the store wrote back about one reader who came in wanting "books about 'monkeys doing things like people.'" Which leads us to one of the more memorable author events at the store. They've hosted David Sedaris several times "and every time is a blast." Here's long-time book buyer Megan Sullivan describing the event: "The first time we hosted him, he brought an actual live monkey. It was a trained helper animal, and it stole the show. While he read it would pick up his notes and shuffle them, keeping them organized and in a neat pile. Then it would open this little Tupperware container full of Cheerios, eat one or two, then close the container back up." In early 2010, Harvard Book Store employees worked together to come up with a list of our favorite books. Each staff member submitted a list of their favorite books of all time, in (rough) order of preference. Their selections were then weighted according to the order and the results were tabulated. It was by no means a perfect system, but it was the best way we could think of to quantify opinions that are in no way quantifiable. Now, we read a lot, so it was hard to narrow it down. What we came up with are the books that moved us, that changed the way we think about the world, and that we will happily read over and over again. The list begins at Jane Eyre (No. 1) and ends with Leaves of Grass (No. 100). In between, you'll find a lifetime's-worth of good brain (and heart) food. Current bestsellers include everything from The Shell Collector by Anthony Doerr to Grumpy Cat: A Grumpy Book by (ahem) Grumpy Cat. Here's something that could put a smile on even the grumpiest of cats' faces: Warehouse Weekends. All during the month of September, the word of the day will be "local." 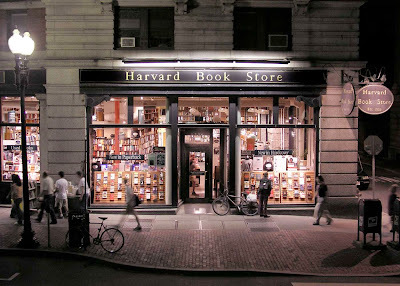 Harvard Book Store is an integral part of the community and it is committed to bringing people together in a series of events where, as the store's blog states, "local is the name of the game. We’ve asked dozens of our favorite community cohorts to help us celebrate our collective ind(ie)pendence with bargain books, free samples, contests, workshops, and more! For four consecutive weekends this fall, our 6500 sq. ft. warehouse in Somerville will feature chapbook giveaways, consultations with literary editors, zine workshops, bookbinding demonstrations, Instagram scavenger hunts, and more. Add to that 25,000 books and delicious, locally sourced food, and you’ve got yourself a party." Click here to check out the full lineup of par-tay events. 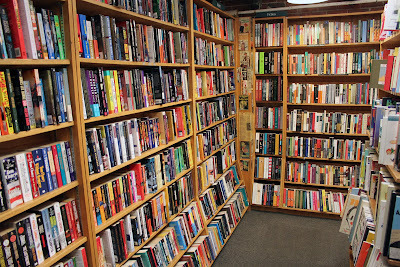 If you're in the Boston area, please plan to stop in Harvard Book Store--whether you're looking for a pet owner's guide to tell you the best flavor of Cheerios to feed your chimp, a bracingly-good novel (Night Film by Marisha Pessl), or suggestions on what to cook for dinner (might I recommend Jerusalem: a Cookbook by Yotam Ottolenghi?). Harvard Book Store really delivers. Harvard Book Store is the featured bookstore all this month at The Quivering Pen. 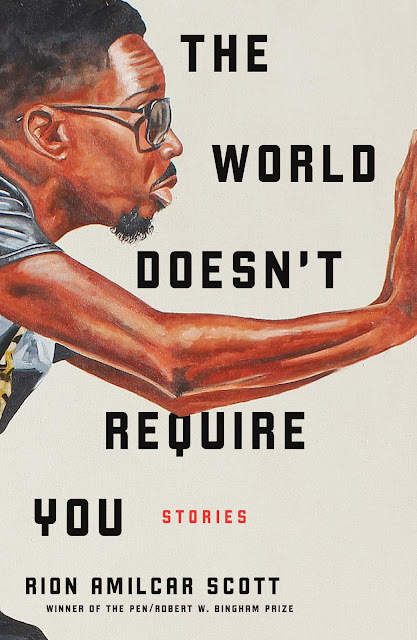 By clicking on the links to books mentioned in this month's blog posts, you'll be taken to the store's website where you can purchase the book (or, better yet, several books). 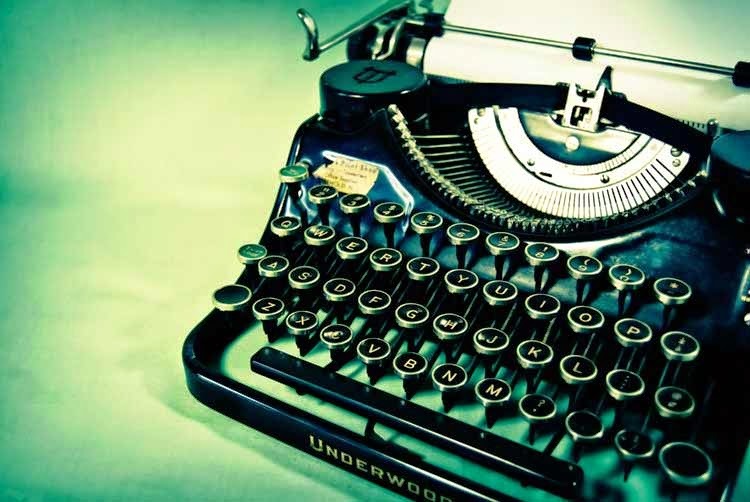 The Quivering Pen is dedicated to supporting independent bookstores. My only comment is to wonder how the Yelp person actually goes in without buying anything. 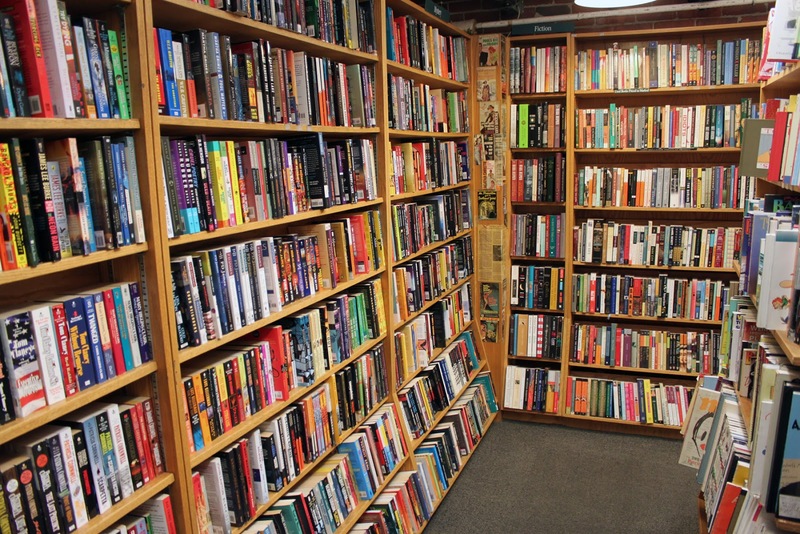 One feature of the Harvard Book Store (and I've been a loyal patron since I was a freshman at Harvard 39 years ago) is the huge number of books they stock that you won't see anywhere else, and that was true even when Harvard Square was full of bookstores. Particular strengths are literary criticism and politics books from university presses. Nicely priced used books. And, as noted, a friendly and knowledgeable staff. Breadbaker, I wondered that, too. I know I'm physically incapable of leaving any bookstore empty-handed. That Yelp guy must have nerves of steel....or an already-empty wallet. When I first moved to Harvard Square from Brookline in 1985 one of the chief reasons was proximity to the 35+ bookstores that then graced 02138, the zip code for Harvard Square and, according to the Boston Globe in 1998 "the world's most opinionated" at that. When I finally moved out of my tiny condo (for one thing, I had long since run out of space for all the books) 26 years later, it was with few regrets. One of the biggest, however, was no longer to be able to take a short 6-block walk to my Shangri-La, the Harvard Bookstore. It is one of the last of a very small handful in number of remaining bookstores in the area, though there are now quite a number of competitive bank branch offices. I've spent thousands of dollars at HBS over the years (nearly 50, when I first stepped inside), and despite now living over 300 miles away, I guard my hard-earned book reward discount points (I've still got got over eight discounts to my credit--each representing $100 in purchased books) zealously. I need the eggs, as they say, and the savings lubricate the resistance to making the trip back periodically. Harvard Book Store is a national treasure of enlightenment.